1. The clay: where it comes from and the layer from which it is extracted. 2. The clay making: how the rough clay is refined into clay ready to be used. 3. The shaping of the teapot by the maker. 4. The firing of the teapot. 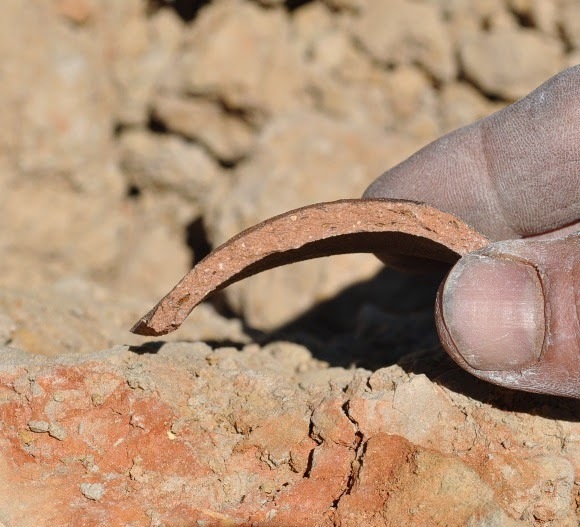 The above picture shows the close relationship between the raw clay and a broken piece of pottery made from the same clay. What comes in determines what comes out. 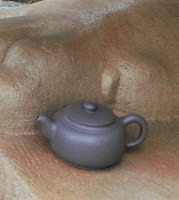 That's why the Yixing clay is the most important factor in an Yixing teapot. After the origin and nature of the clay (zisha, hungni, luni), let's examine how the mined Yixing ore is transformed into clay. 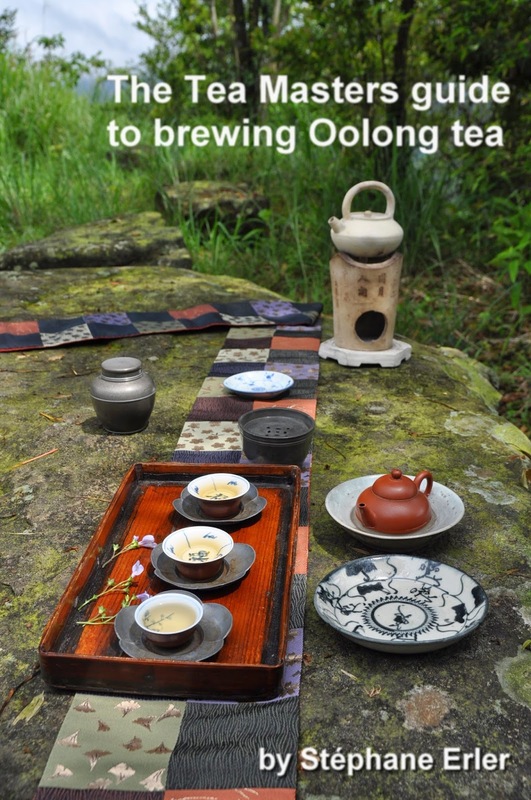 tǔ (養土), raising clay like we speak of raising a teapot or a kid and taking care of it for several years. First, the extracted stones are l put on a heap, under the sun. Often against a wall, the stones will slowly disintegrate under the influence of the seasons' changing weather (rain, wind, sun...) This step can take 2 years and is now often skipped nowadays, since powerful machines can do the crushing of the stones very quickly. Old wall where clay used to be kept for aging. Second, the raw stones are further crushed, milled with mechanical means and then filtered. Fourth, this clay needs to be further refined before its use. It needs to be hammered, kneaded, thrown in a block so that it reaches the right plasticity and moisture level. This process is can be further complicated by mixing different clays together. Ancient Yixing potters were famous especially for their clays. They managed to create different colors (grey shark skin, for instance) this way. This is the kind of know-how that remained secret and was only transmitted to the next generation. That's why there are modern makers who are using chemical analysis to recreate the same Yixing clay as during the Qing dynasty. But mixing can also be used to turn regular clay into an Yixing like clay! It's widely used nowadays to fake zisha clay for mass production. Conclusion: the Yixing clay we obtain through this process is composed of a multitude of minerals and this clay retains two essential properties. It is both very plastic and lightly porous at the same time. The zisha clays (red, green and purple) have a good balance of these 2 characteristics. Note: Thanks for all your interest and support. 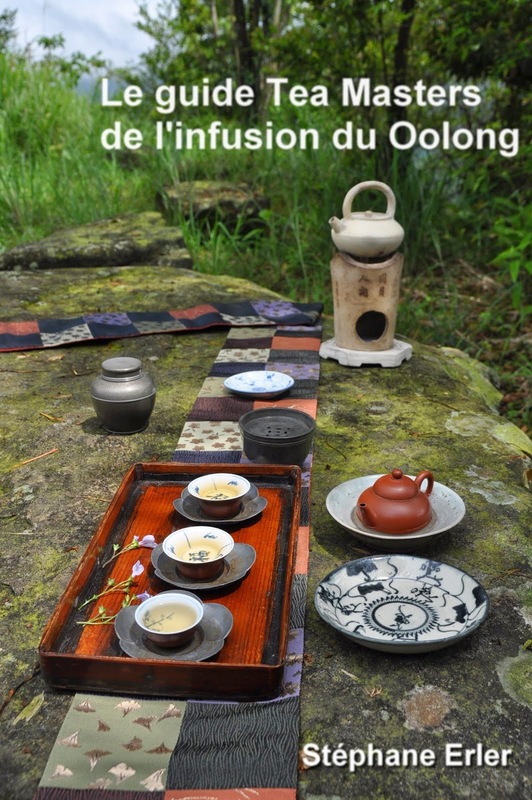 The 'Fall specials' continue with price reductions on 20 teas from my selection!